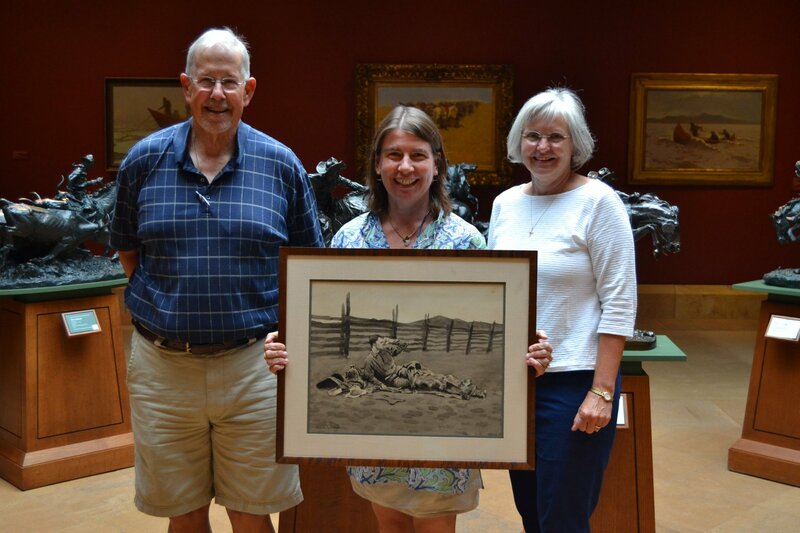 The primary way that the Frederic Remington Art Museum expands its collections of artifacts, artwork, and other items is through donations, loans and gifts for acquisitions related to the mission and fitting the scope of collections and acquisition criteria. 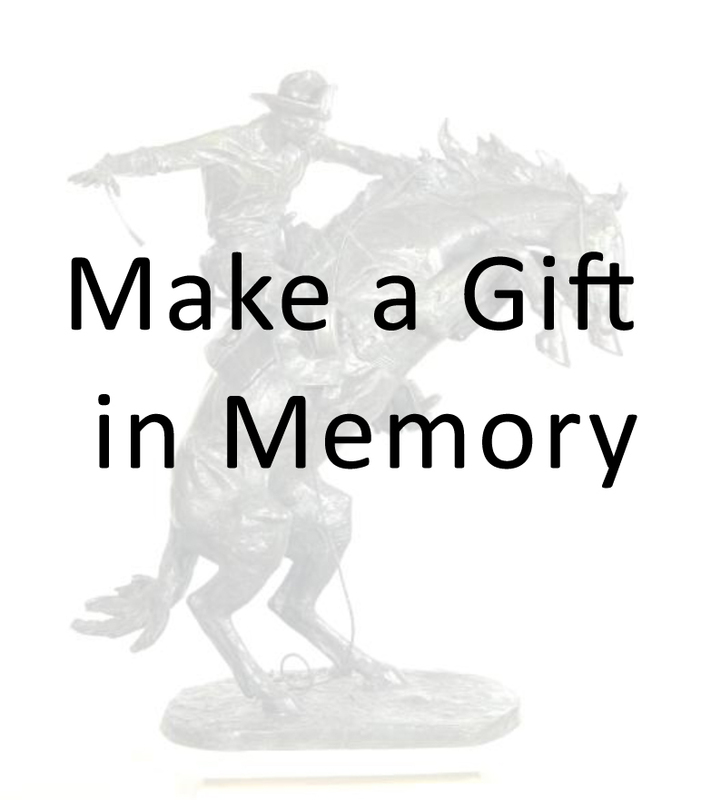 Your donations to the Frederic Remington Art Museum can make lovely gifts to others! 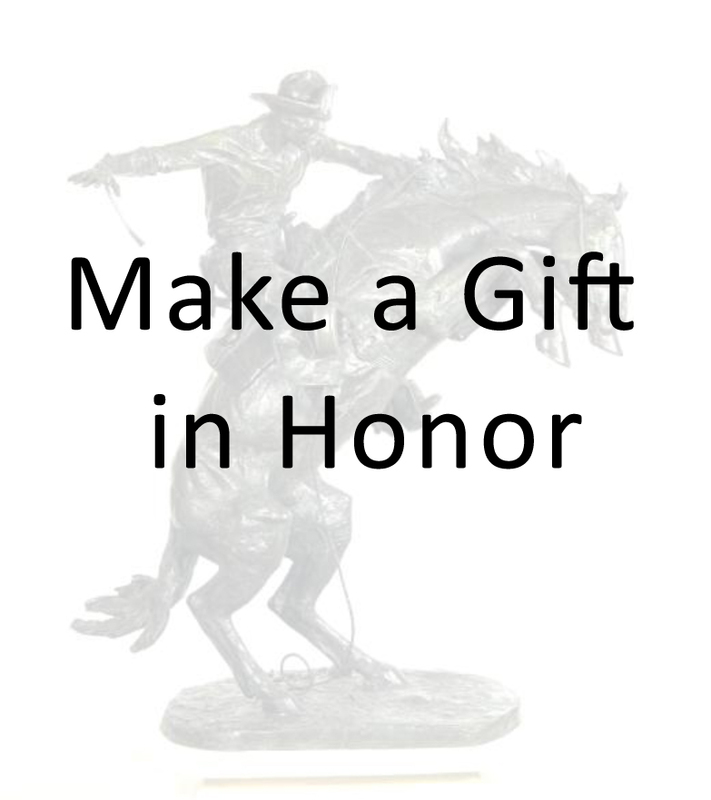 When you make a contribution in honor of someone’s special occasion, we send them a lovely card featuring a photograph of our very fine cast of The Broncho Buster and our assurances that your gift in their honor is put to good use. It’s a clutter-free way to show you care. 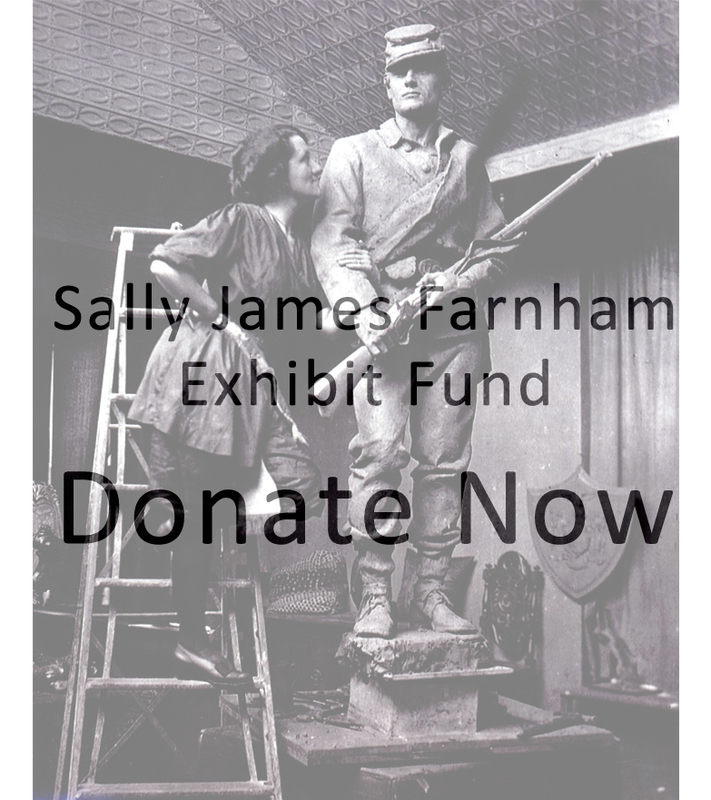 Sally James Farnham Exhibit Fund: The museum received a generous $100,000 grant from the Robert F. and Eleonora W. McCabe Foundation to create a permanent exhibition space devoted to Sally James Farnham's art, on the 2nd floor of the Parish Mansion. We are now looking for the right exhibit designer. We expect that with the exhibit, the soldier will be displayed in the museum's lobby, where it will be safely seen by all who enter. Any gifts earmarked SJF will be added to the fund. Donate Now! 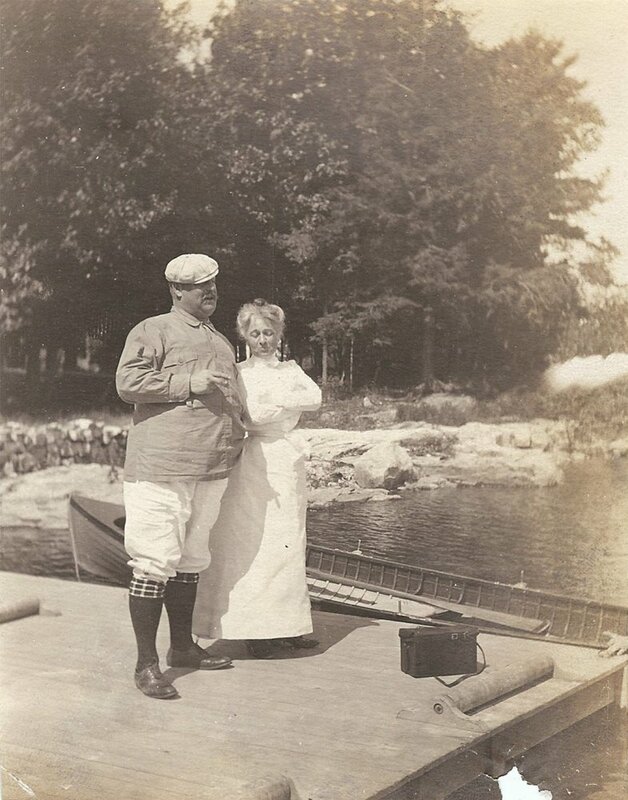 We received the generous donation of a group of family photographs of artist Sally James Farnham (above), and two photos (one to the left) of Frederic and Eva Remington at their Chippewa Bay island, Ingleneuk. Donated by William and Lucille Loder in memory of parents William and Betty Loder and grandparents Benjamin and Marion Loder. Originally published in Owen Wister's story, "Specimen Jones," Harper's Monthly, June 1894. Read on Watertown Daily Times. 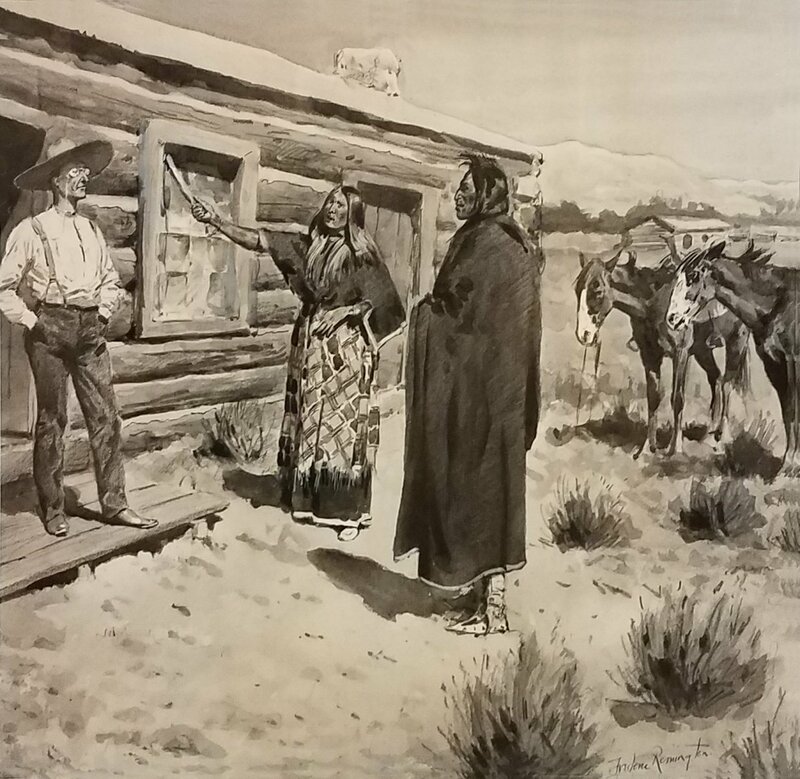 On December 31, 2014, a package arrived containing the gift of a Frederic Remington wash drawing, First Sergeant, 13th Infantry. We are most grateful to donor Elizabeth S. Morrison, whose grandfather, Robert Bell Hilliard solicited the drawing from Remington while Hilliard was a student at the US Naval Academy in Annapolis for an illustration in 1904 yearbook, The Lucky Bag. Hilliard's father, also a Navy man, knew Remington, which led to the gift. The work depicts a soldier at Tampa, Florida, presumably done while Remington was there to draw the troops awaiting war in Cuba. It is related to the museum's 2013 purchase, Ninth Cavalry Colored Troops on Washing Duty in the Gulf, as well as other Spanish-American War works in our collection. The work was known to exist only through the 1904 appearance in the Naval Academy yearbook, and we are very pleased that Mrs. Morrison has placed it in our hands where it will be shared with the public and introduced to the world. 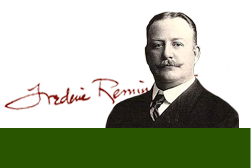 Publication: Garland, Hamlin, "Whiteman’s Court,” Collier’s Weekly, June 1, 1901, p. 11. When this artwork was loaned to the museum in 1998, it was with the expectation that it would one day become a donation. This winter Edna Cavin Taylor died (at 104!) leaving the painting to the museum. According to her daughter, Susan T. Brown, the painting spent years carefully rolled up in Phillips Taylor's Chicago office. Edna had it framed as a gift on their 50th wedding anniversary. 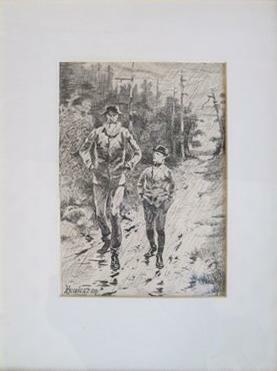 The work had belonged to Phillips Taylor's father, David Lee Taylor, who worked in advertising and may have received the work as a gift from Robert Collier of Collier's Weekly, where the painting was reproduced in 1901. 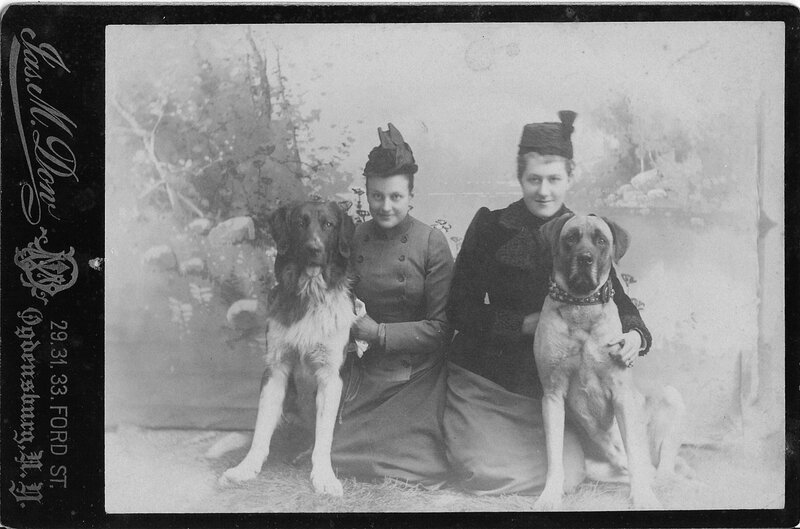 It's now on display as part of "Remington in (Mostly) Black and White." pen and ink drawing, from the estate of Dorothea Jean Hassler.